Aside from being something that’s impossible to explain to your grandmother, Podcasts are also one of the most overlooked entertainment options spawned by the Internet. The best ones offer thought-provoking discussions of alternative ideas or showcase left of the dial humor. At their worst they’re the stoned ramblings of bitter fan boys dropping at least two F-bombs in every sentence. 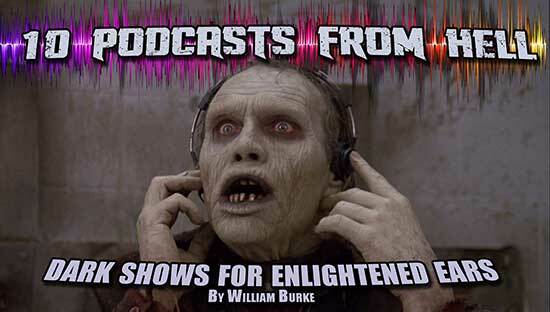 So to help thin the herd here’s a list of podcasts tailor-made for Horrornews.net users because we know you’re intelligent, open-minded folks eager to embrace new ideas … and if those ideas happen to be scary, that’s even better! This list isn’t a countdown to the best podcast but rather a cross section of great fact, fiction and film history shows—something for every dark mood. Stuff They Don’t Want You to Know – Let’s get the ball rolling with the least offensive entry. You can even enjoy this one with your mom, especially if your mom happens to be Squeaky Fromme. 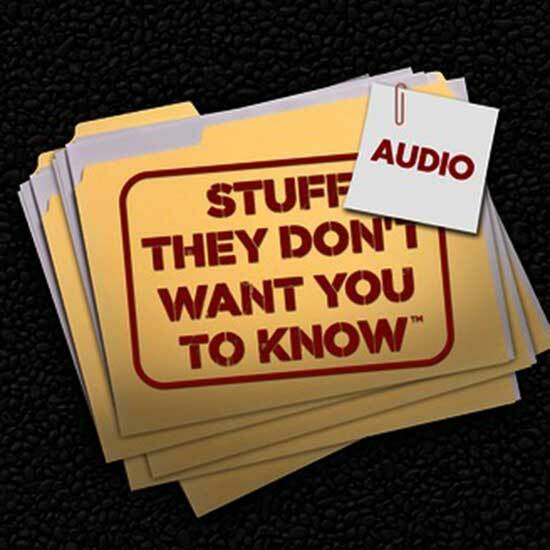 It’s brought to you by the folks at How Stuff Works—a kind of mother ship hosting over twenty informative podcasts. STDWYTK is a scholarly analysis of conspiracies, urban legends and historical oddities. Unlike some conspiracy shows’ hosts, Ben, Matt and Noel aren’t xenophobes squatting in a heavily armed bunker wearing tinfoil chapeaus. They’re professionals whose show is well researched, levelheaded and soberly skeptical. Of course, there’s the usual assortment of UFO and Bigfoot episodes but STDWYTK gets really intriguing when they delve into offbeat subjects like top secret bunkers, red mercury or the CIA’s involvement in creating 1960s counterculture. My recent favorite was a two-part show exploring the life and conspiracies surrounding the recently deceased Charles Manson. If your taste runs more to the visual, STDWYTK also has a YouTube channel featuring video mini-episodes on a plethora of bizarre topics. Their video on Utah’s Skinwalker Ranch is particularly chilling. 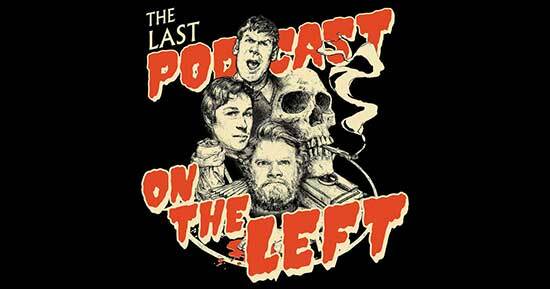 Last Podcast on the Left – This podcast feels like Stuff They Don’t Want You to Know’s evil twin. 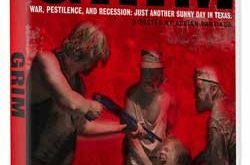 Last Podcast On the Left explores similar dark territory but walks a more ghoulish and often hilarious path. Designated straight man Ben Kissel keeps co-hosts Marcus Parks and Henry Zebrowski on topic most of the time, until they veer off on riotous tangents. But just when you think LPOTL might descend into a nonsensical “Morning Zoo” the hosts unleash a barrage of solid research and thoughtful insights. Topics range from demons and cannibalism to Norwegian black metal and a riveting three-part series on Robert Pickton—the Canadian serial killer who fed over forty people to his pigs. Another standout was the episode chronicling William Cooper, the Elvis Presley of conspiratorial writing who ultimately died in a shootout with federal agents. Every show is packed with the kind of delicious factoids guaranteed to get you barred from polite homes. The hosts are open-minded skeptics, except when it comes to the CIA’s MK Ultra Program… Don’t get Henry started on that! 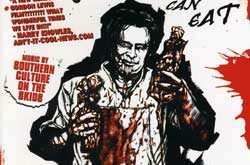 Lately I’ve been devouring LPOTL episodes like Robert Pickton’s pigs chowing down on a fresh drifter… It’s tasty stuff. 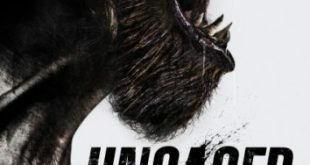 How Did This Get Made? – This long running podcast is a spiritual cousin to Mystery Science Theater 3000 wherein top comedians gather to skewer a deserving film. But this isn’t a bunch of cinema snobs only mocking defenseless low budget movies—that would be too easy. Instead, hosts Paul Scheer, June Diane Raphael and Jason Mantzoukas gleefully put the screws to major Hollywood boondoggles like Ultraviolet, The Running Man and Virtuosity. The hosts are all members of the Los Angeles comedy mafia, allowing them to snare top guests like Sarah Silverman, Chelsea Perreti, Jonah Ray, Patton Oswald and Weird Al Yankovic. HDTGM is always entertaining but their comic knives are sharpest when it’s recorded with a live audience at Café Largo in Los Angeles. For the uninitiated I recommend listening to the slam-dunk Maximum Overdrive episode—I bet even Stephen King cracked a smile. Other gems include The Wicker Man (the remake of course), Battlefield Earth, Twilight, Zardoz and their scalpel sharp dissection of A View to a Kill—amazing! There are also great follow-up articles by Blake Harris online at Slashfilm.com, where you can learn more than you ever wanted to about the making of Can’t Stop the Music and others. There are even mini-episodes featuring actors and filmmakers sharing their personal experiences while trying to answer that elusive question… How Did This Get Made? The Projection Booth – There are plenty of podcasts devoted to cult movies, but The Projection Booth leads the pack by covering such an eclectic range of films. I honestly wish hosts Mike White and Rob St. Mary would curate a revival house theater and let me live there. They offer insightful commentary on well-known cult movies bolstered by an amazing array of interviews with the filmmakers and stars. Their splendiferous Beyond the Valley of the Dolls episode featured interviews with stars Dolly Read, Marcia McBroom, Erica Gavin and John Lazar plus composer Stu Phillips and singer Lynn Carey. As if all that wasn’t enough, they threw in a bonus extended interview with Stu Phillips (The Monkees, Battlestar Galactica). How fun is that? But The Projection Booth shines the brightest when it shows some love to truly obscure films. There have been entire episodes devoted to the Czech new wave classic Valerie and Her Week of Wonders and Saul Bass’ insects attack chiller Phase IV. Other forgotten gems included Colossus—The Forbin Project (1970), Working Girls (1986), The Final Programme (1973), Fantastic Planet (1973) and Haxan (1922). Stick with Mike and Rob and they’ll open your eyes to a new world of celluloid wonders. 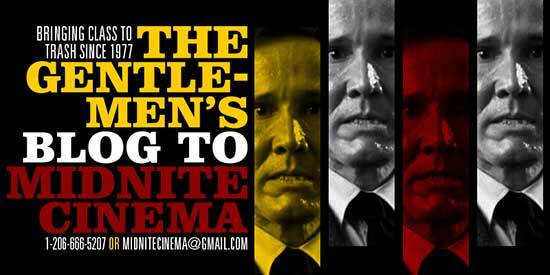 The Gentlemen’s Guide to Midnight Cinema – Every week hosts Todd and Bill bring you a double feature of grindhouse gems—and these guys aren’t afraid to look in the basement where all the sweetest stuff festers. The GGTMC does an admirable job of teaming up two films per episode for discussion, even if they seem to have nothing in common. Great tag teams include Joe D’Amato’s gore fest Anthropophagus (1980) paired with John Boorman’s personal acid trip Zardoz (1974). Unlike the guys at The Projection Booth, Todd and Bill aren’t walking encyclopedias, but they more than make up for it with sheer enthusiasm and an infectious love of movies. They also have some eclectic guests who share their appreciation for the bizarre. In addition to horror films, Todd and Bill are also impassioned lovers of genres like Italian crime flicks and spaghetti westerns, which feature prominently. This genre juggling act guarantees you’ll discover something new, exciting and (maybe) a little slimy with each episode. I also suspect that Todd and Bill are ordained ministers in a secret church that worships actor Henry Silva. Keep the faith, guys! 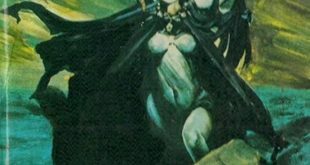 Pseudopod – Short fiction podcasts are tricky beasts, with the best striking a balance between the understatement of contemporary audio books and the more bombastic approach of old-time radio drama. Pseudopod is an outstanding example, mixing classic stories by luminaries like Joe Lansdale, Ramsey Campbell and H.P. Lovecraft with tales from horror’s rising literary stars. Pseudopod’s approach can feel a bit Spartan at first, forsaking incidental music and sound effects. Instead they rely on their talented narrators and solid story choices to carry the day. 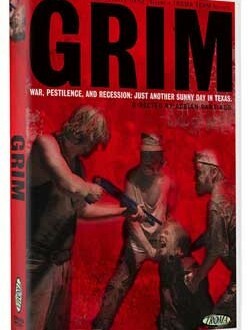 Co-editors Shawn Garrett and Alex Hofelich are doing great and valuable work for the horror community. Not only have they produced a thought-provoking and chilling show, they’ve also given voice to a legion of new authors. Download a few episodes for your next long drive down a dark and lonely road… It’ll keep your eyes wide open and the hair on the back of your neck standing up. Highly recommended. No Sleep – A more technically slick collection of short horror fiction now going into its tenth season. Producer David Cummings has been there from the beginning, assembling a repertory company of talented voice actors as well as artists who create original illustrations for each episode. Like Pseudopod, No Sleep champions up-and-coming authors, launching quite a few careers in the process. That means you’ll experience the work of original literary voices produced, performed and scored with tender loving care. 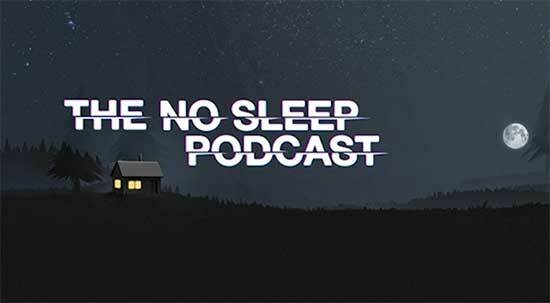 No Sleep sells a season long subscription for about $20. At roughly a dollar an episode that’s a lot of nightmares for your buck! Limetown – Imagine if Fox Mulder went undercover as an NPR reporter and you’re getting close to the drama of Limetown. What’s the story? Ten years ago, all three hundred residents of Limetown, Tennessee vanished overnight, and their disappearance has never been explained. But now investigative reporter Lia Haddock is attempting to solve the mystery, with terrifying consequences. There are plenty of reasons why this audio mockumentary became the top podcast on iTunes, but describing Limetown in any depth means revealing spoilers. I will tell you that the performances and production values are top notch, expertly mimicking the tone of NPR radio while seamlessly ratcheting up the tension. How good is it? Midway through the second thirty-minute episode I was hooked, feverishly clicking the next episode. Limetown is a great example of the medium’s potential to experiment with and even reinvent storytelling. Only six episodes were produced, but now, at long last, we’re getting a second season! I think you’re going to love it. Horror News Confidential – This new podcast may be the baby on the block, but the folks at Horrornews.net have already given it a unique voice. 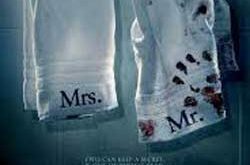 Host Mike Joy delivers plenty of movie reviews and interviews with genre filmmakers BUT he also tackles the commerce side of the horror business. 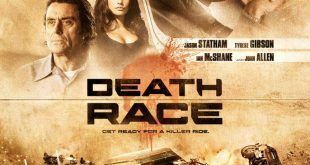 A recent episode was devoted to the pitfalls of indie film distribution. For the uninitiated, that’s when idealistic filmmakers’ dreams of success crumble into despair and bankruptcy. Another episode focused on The Horror Equity Fund, a professional consortium uniting creative minds with like-minded investors. This kind of information is invaluable to any horror aficionado considering taking the leap from consumer to creator. Listen and learn because the business end has more creeps, psychos and degenerates than any movie script. The Rialto Report – To wrap things up, I also want to endorse this slightly off topic labor of love that explores grindhouse cinema’s true sub-basement—the sordid world of 1970s adult films. That may sound sleazy but fear not, Ashley West and April Hall are class acts serving up fascinating interviews with the movers and shakers of a bygone era. These Golden Age performers and filmmakers share funny, tragic and occasionally heroic tales of survival in an industry rife with scoundrels, mobsters and madmen. I’m always impressed with who The Rialto Report manages to unearth, including Russ Meyer’s notoriously reclusive leading lady Uschi Digard and peep show king Marty Hodas who everyone assumed had been rubbed out by the mob! The producers of HBO’s The Deuce were so impressed by The Rialto Report that they hired West and Hall as technical advisors. 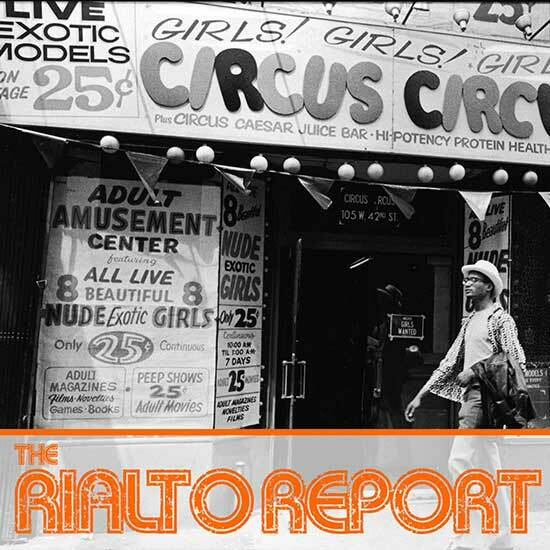 The associated Rialto Report website boasts well-written articles and fascinating photo essays. Needless to say this podcast is for mature ears only. Did we miss your favorite? Let us know and get the word out to eager listeners. And if you haven’t found a podcast that genuinely turns your crank … flip on your laptop and make your own. I listen too A magority of these but also should include “Midnight Triple Feature” they sometimes do real obscure stuff I haven’t heard of.